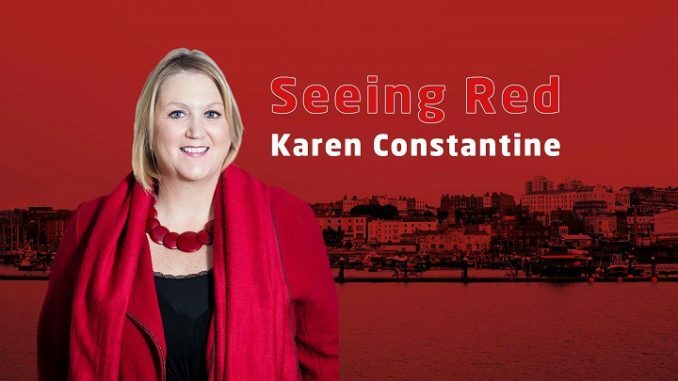 HomeOpinionCounty Councillor Karen Constantine: Do we need a new royal yacht? What is our local MP up to? Silent on many local topics, such as the nightmare housing crisis (private sector eviction notice anyone? ); silent on Universal Credit, all too often a precursor for poverty and anxiety; silent on some terrible local educational outcomes, far too many local A level students are often put off university by the high fees, too few students getting sufficiently good GCSE grades, for instance. We have a turgid local labour market and an uncertain future for most. In 2018 UK wages are predicted to hit an all time low according to the OECD, sinking to the bottom of the 32 wealthy nations league table, below Italy and Spain. British workers are expected to see their earnings decrease by 0.7% next year. Certainly hard times ahead. Instead, Craig Mackinlay’s focus, perplexingly, is on the apparent need for a royal yacht. A claim that, “The view of many MPs and people around the country is that the Government should commission a new Royal Yacht Britannia designed and built domestically to (be) showcasing post-Brexit Britain and bringing trade to our shores.” To be used by Royals and Government ministers alike. The truth is, across Europe, people shake their heads at us. Why would we leave Europe? Why? Most of our trade is done within the EU. In fact globally most trade is conducted between countries who are near neighbours. We may seek to trade with the USA for instance, but for many SMEs (small medium enterprise) export costs and competition from China and elsewhere make this challenging. It’s also often difficult for SMEs to ‘scale’ up to be able to supply the volumes that an American market might demand. The opposite isn’t true, the UK is an idea ‘target’ market for many American products. Aiming to continue to expand into ‘near’ EU markets is much more achievable. Will a floating ‘showcase’ enhance our reputation and boost sales? Will it balance out the decreasing value of sterling and rising costs of raw materials, food and fuel? I doubt it somehow. It is clear wages won’t improve. It is true that the royal family make the UK an income of around £1.6 billion (the family themselves are worth an estimated £60 billion). How would a royal yacht boost this? It’s hard to see. In any case, exactly how would the people of Thanet benefit? In truth, probably not at all. The ‘old’ Royal Yacht Britannia is a tourist attraction in Leith, (fabulous actually), I can’t quite imagine the good folk of Scotland handing it back. Especially as it’s Scotland’s most popular visitor attraction and employs 150 as a self funding charity. It was decommissioned after 1 million miles when the then Labour Government, felt a cost of £11 million annually to keep it afloat was too steep. So, what is this all about? I think most sensible people (on both sides of the in / out vote) accept that the future looks uncertain. Brexit is certainly far from simple, it will be costly and does present unintended consequences. That indicates we need ‘focus’, the last thing we need is a smoke screen. Is the cry for a new royal yacht anything other than a distraction? Could we please concentrate on Thanet? As is now standard amongst Brexiteers, wrong. The EU countries are hugely important trade partners for the UK. In 2016, the EU1 accounted for 48% of goods exports from the UK, while goods imports from the EU were worth more than imports from the rest of the world combined. Or are you now disputing the ONS data? More Leftie nonsense – a Royal Yacht is used for state occasions and state trips,so is a part of state expenditure,which boosts the image and prestige of Britain home and abroad.Again,the Labour Party speaks out against someone exercising their right of free speech on no better grounds than that the opinion differs to theirs.The country is virtually bankrupt as a direct result of Blair selling it to the EU when he got elected – and another Labour government can only pay for its absurd hard left programme by hiking taxes to the 60% + mark of the 1970s – which didn’t do much for the national economy or standard of living for people. Re: the right to free speech. It is there for all in this country and disagreement with someone is an adequate ground for exercising it (politely) in a public forum. Mr. Mackinlay is as free as Ms. Constantine to put his case in this newspaper. Not more free, or less so, but equally so. So who is going to buy these tickets? People who would have spent their lottery money on other lotteries who give some of the money to charities and good causes or new customers who have then less money to spend on essentials in the hope of the one in a million chance of hitting the jackpot. Politics is about priorities, mine is helping people to for example have a decent bus service rather worrying about another yacht. Sort the cost of the train in and back from London, Thanet residents have little or no chance of finding decent well paid jobs in and around the Isle, and now no chance in London. In addition to the normal permitted routes, this ticket is also valid for travel on Southeastern high speed services.